A delicious savory make-ahead breakfast, this Mexican Egg Bake with Spinach, Black Beans and cheese is low carb and protein-packed. My boys love “eggies and cheese” so just about every Sunday we prepare a make-ahead egg dish that I can quickly reheat during busy weekday mornings. The fillings depend on what’s in season and what we happen to be craving. 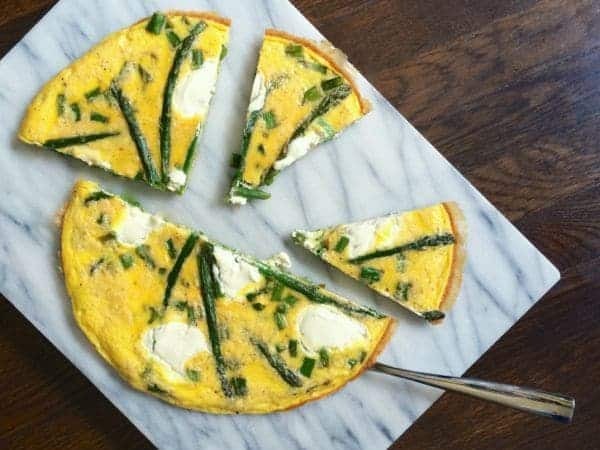 In the spring, I was on a major frittata kick since we were up to our knees with fresh asparagus. To satisfy my egg mcmuffin craving, I started making Ham and Cheese Baked Egg Cups which the boys call egg muffins. A few months ago, we started making my friend Kalyn’s Spinach and Mozzarella Egg Bake. Asher loves helping me sprinkle the scallions and cheese and I love that it’s another make-ahead breakfast I can prepare on the weekends to get ahead of the game come Monday morning. For a south of the border spin on breakfast, this Mexican Egg Bake is packed with spinach, black beans and sharp cheddar cheese. To serve, I love topping it with cherry tomatoes, avocado, cilantro and lime juice. A little sriracha never hurts either. 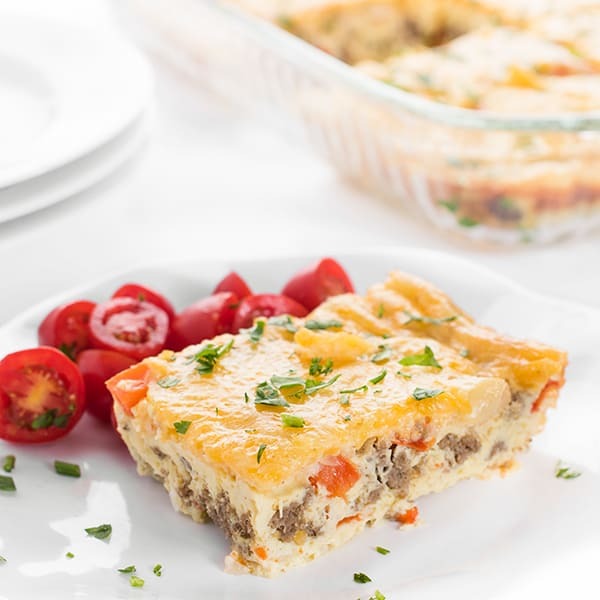 A delicious savory make-ahead breakfast idea, this Mexican Egg Bake is low carb and protein-packed. Pre-heat oven to 350 degrees and spray a 9 x 13 baking dish with cooking spray. In a medium bowl, whisk eggs with 2 tablespoons water plus salt and pepper to taste; set aside. Heat a large non-stick pan over medium-high and spray with cooking spray. Sauté spinach until wilted, 2-3 minutes. Add black beans, cumin and oregano to the pan and stir until warmed through; remove from heat and pour into the bottom of the prepared baking dish. Pour eggs over the bean and spinach mixture then sprinkle with scallions. Use a fork to stir mixture once so that the spinach and scallions are fully coated in the egg mixture. Sprinkle shredded cheese evenly on top of egg mixture then bake for 35 minutes or until eggs are cooked through. Serve warm or let cool completely before slicing and refrigerating to enjoy at a later time. Recipe inspired by Kalyn's Kitchen Spinach and Mozzarella Egg Bake. How many days will this be good for in the fridge? 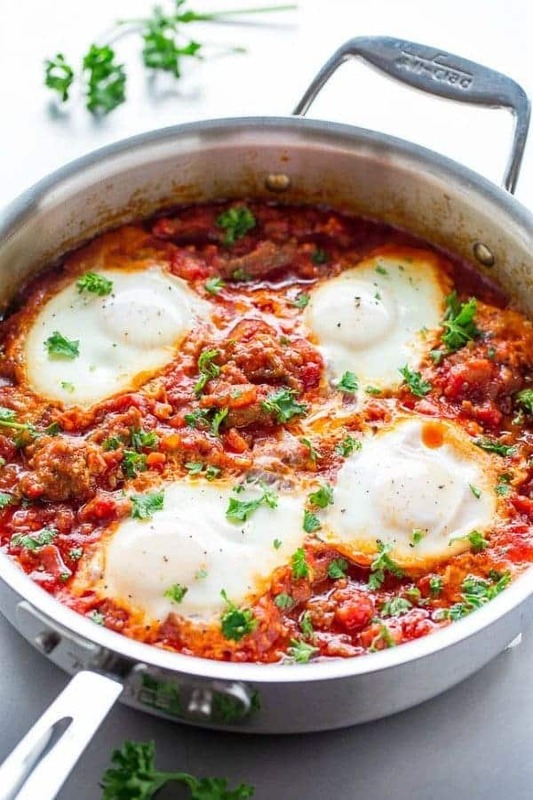 I love that this has eggs AND beans AND cheese – my three favorite protein sources in every bite! My guys love their eggs too! 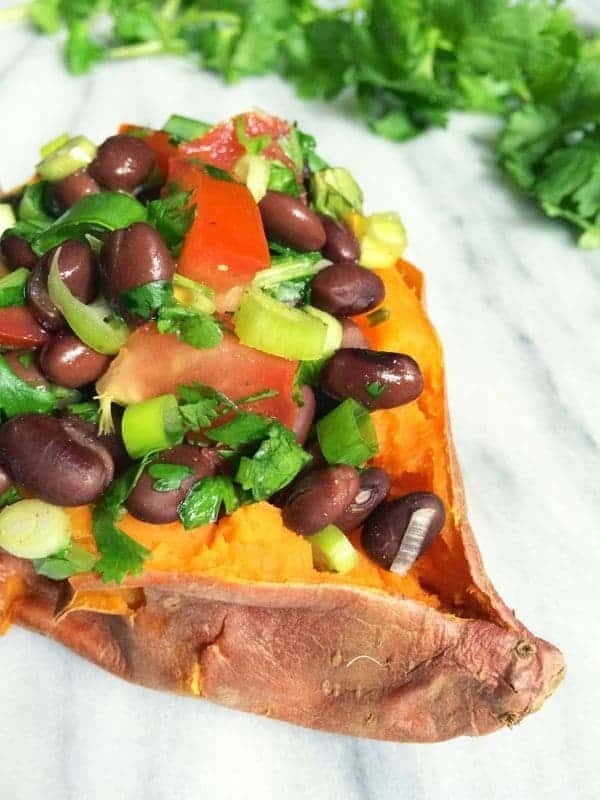 I love the cumin you added in here and the beans are such a great idea! I’m such a cumin nut :) I hope you like this! Looks good! I’m planning to make the ham and cheese egg muffins this week, but may try this instead! Oh good I hope you like it!! So glad you’ve been enjoying my egg bake ideas! I love the sound of this one; why have I never used beans in this type of dish? What a great idea. I was craving beans and my boys just love them so I thought I’d give it a try – hugely successful! We’ve been eating a Greek version this week with kalamata olives, sun-dried tomatoes and feta. I just can’t stop making egg bakes. :) Thanks again Kalyn! This is one I’ll have to try. It was really weird to see you mention the spinach and mozzarella egg bake. A friend shared that recipe with me several years ago and I never knew where it came from. 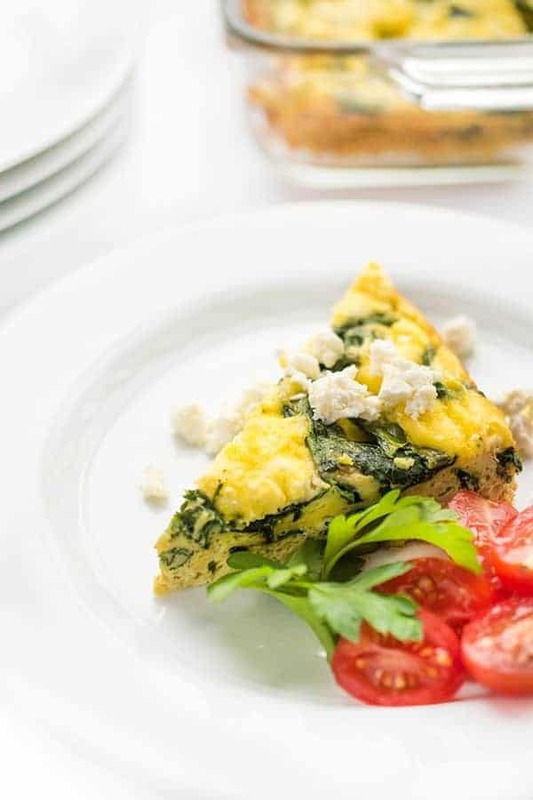 Your recipe is also great for those who want low carb breakfasts. Yes!! Kalyn’s site is fabulous – tons of great low carb recipes. Check it out! This looks delicious – perfect for a breakfast I’m hosting in a few days’ time. Yes to a squirt of sriracha on the side! Thanks! YES!! I hope you love it! Now that is a breakfast! I love the spinach and black beans in this. The boys have been loving it too!! I hope you try it! Olivia is just now starting to like eggs. She likes them plain and not mixed with other things. I might need to try an egg bake to see what she would do. Oh I love the simplicity of this and the fact that it can be made ahead! Wow, looks delish! 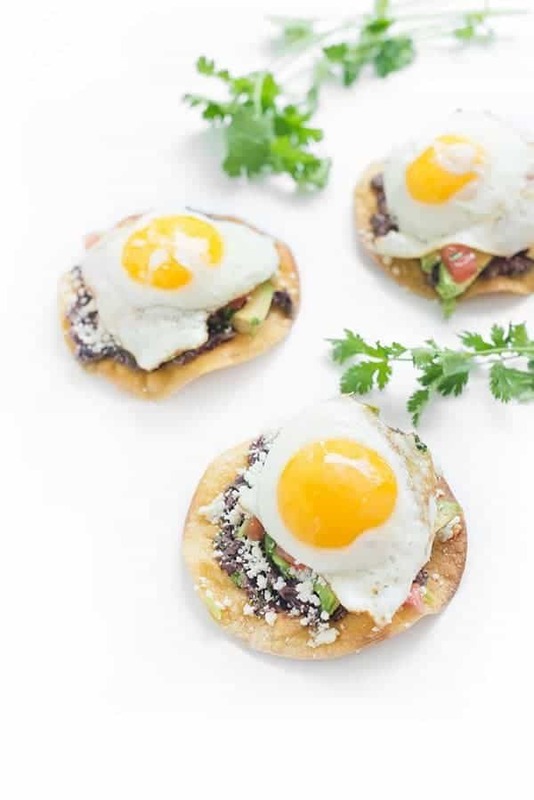 Love the combo of egg and black beans — plus any breakfast I can make ahead of time is a winner! It was so satisfying – I hope you try it! I love the southwest spin you put on this! Breakfasts you can make ahead of time are the best! They are a life saver for me! !